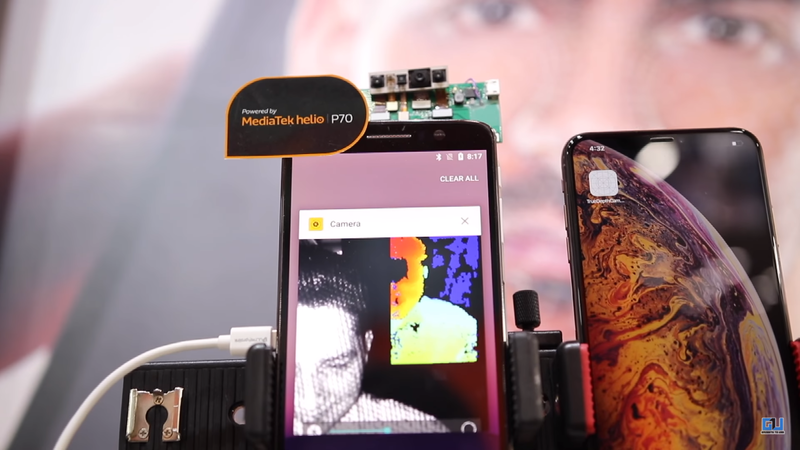 MediaTek has announced its latest chipset for mid-range phones dubbed as the Helio P70. The successor to the Helio P60 brings several advanced AI features, support for better cameras, faster data connectivity, and overall improved performance with low power consumption. At IMC 2018 event, Mediatek showcased its new chipset that is packed with features for an improved user experience. Notably, the Helio P70 boasts of an enhanced Artificial Intelligence Processing Unit (APU) for better AI performance. Here we have listed the top three amazing features of Helio P70 that will be soon coming with a new Realme phone. 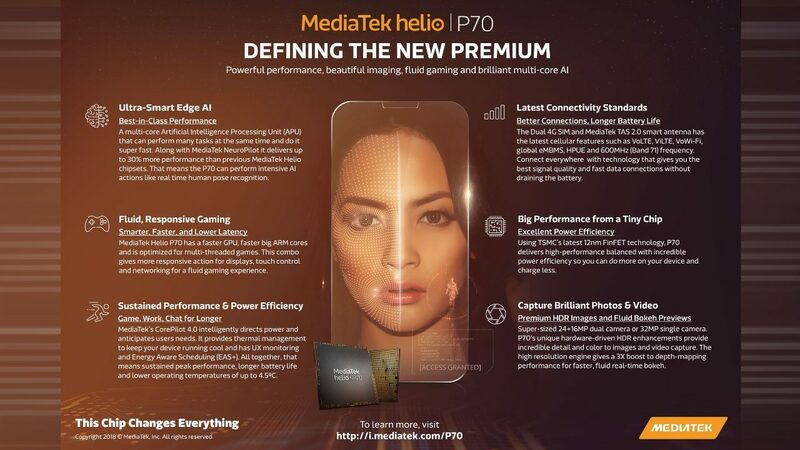 MediaTek Helio P70 promises to deliver the fastest AI experience in its class as it features a multi-core APU for fast edge-AI processing across the AI applications. The Helio P70’s enhanced AI engine delivers from 10 to 30 percent better AI processing compared to Helio P60. This means the Helio P70 can support more complex AI applications such as AI-based video encoding. 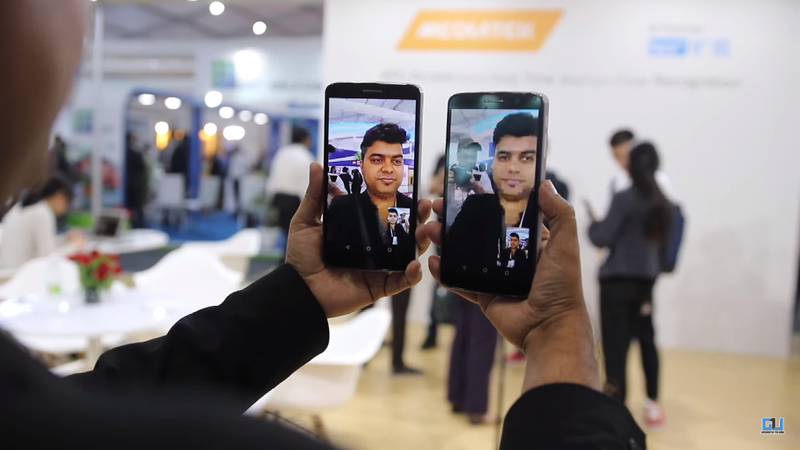 MediaTek’s new AI video encoder enhances video call quality even when the connection is limited. It can be used for all type of video calls including Skype, Facebook, and even YouTube live streaming. The next important feature P70 supports is AI face unlock. The chipset features an improved deep-learning facial detection with up to 90 percent accuracy. Thus, it offers an accurate AI facial detection with intelligent scene detection. The multi-core APU operates up to 525MHz that is 10 to 30 percent more efficient than the P60. This means that the P70 can support even more complicated AI applications like AI Face Unlock. 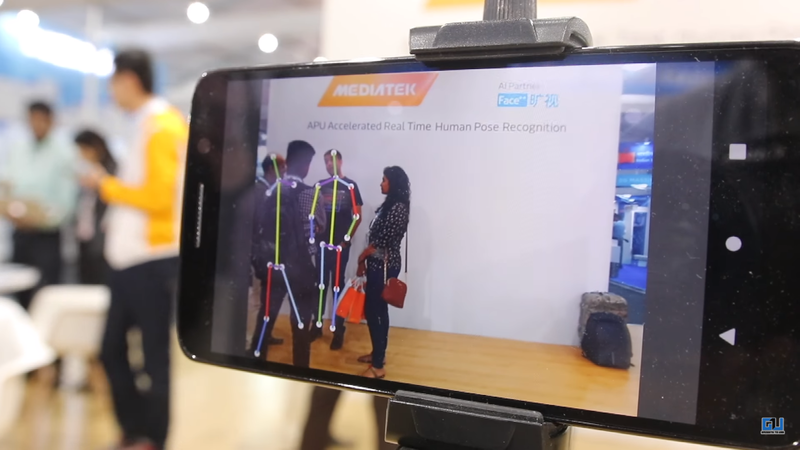 With its multi-core APU, the MediaTek Helio P70 also supports MediaTek’s NeuroPilot platform with an enhanced multi-threading scheduler to offer up to a 30 percent boost in AI processing performance over Helio P60. Thus, it also comes with more complex AI applications including Real-time human pose recognition. If we talk about some other features that are new in Helio P70, first is EIS in camera,. The P70 chipset has hardware enhancements that include a hardware warping engine which is used for electronic image stabilization (EIS) and it saves 23mA per second vs GPU. IN terms of connectivity, it also supports FM Radio, unlike the Helio P60. If we talk about specs, the Helio P70 is built with TSMC’s 12nm FinFET technology. It features a multi-core APU operating at up to 525 MHz for faster AI processing. The P70 combines four ARM Cortex-A73 processors clocked at 2.1 GHz and four ARM Cortex-A53 CPUs clocked at 2.0 GHz processors. For graphics, it has ARM Mali-G72 MP3 GPU operating at up to 900MHz that promises 13% performance improvement compared to the Helio P60. MediaTek’s new chipset is expected to come with devices by the end of this year. Oppo’s sub-brand Realme is among the early birds who get to use this new chipset for their upcoming smartphone. Realme India CEO, Madhav Seth announced at the event that their new smartphone will be powered by an Helio P70 chipset. It will most probably be named Realme 3 and could be launched by the first half of December 2018.